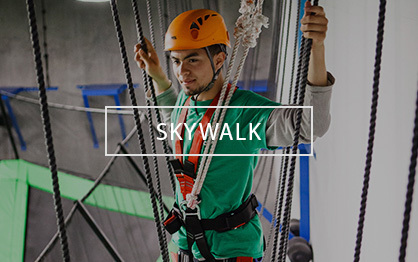 The only indoor park to present Battle-Zone! 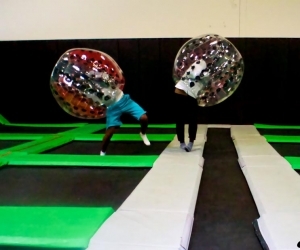 Get in the ball, buckle-yourself up, and get ready to battle your opponent in a sumo-style-fight. 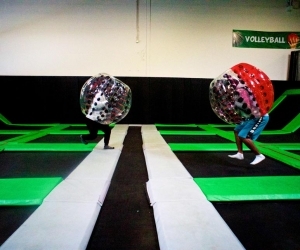 We have over 6 Battle-Zone balls, enabling you to form 2 teams, with 3 members in each team. 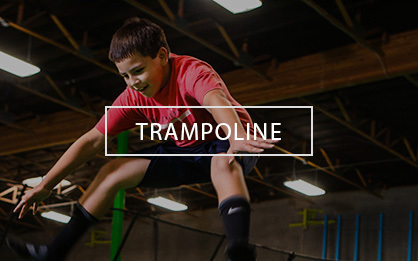 Get ready to battle-it out on top of our trampolines. 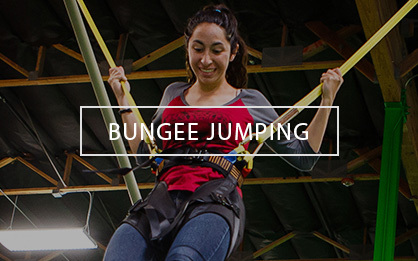 It’s high energy, you can run, jump, roll freely & knock your opponent. 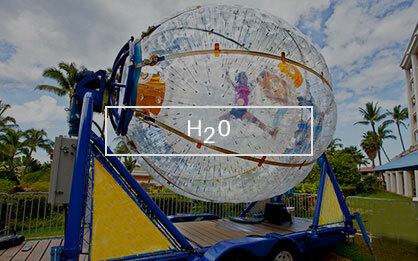 The experience is catapulted into rip roaring laughter, exhilarating knocks & rolls that will keep you coming back for more. 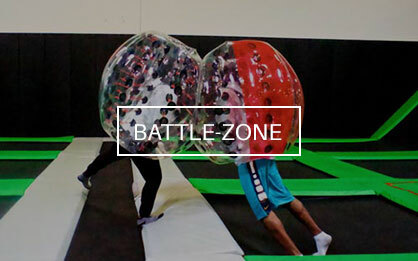 Organizing a Battle Zone game is truly a blast, which generally break down into literal knock down chaos with the only resulting pain being from laughing so hard and having way too much fun. 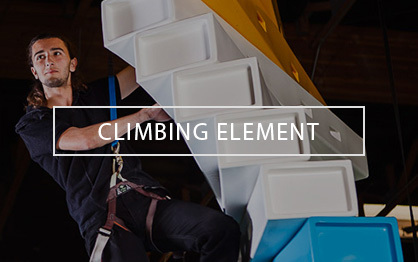 It also happens to be a great workout with your heart racing and sweat breaking. 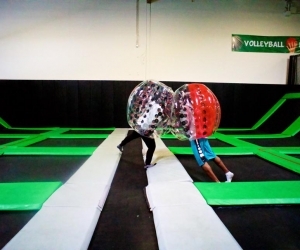 Battle Zone is using Knockerball, which has a single chamber inflatable sphere with inner handles and adjustable shoulder straps. 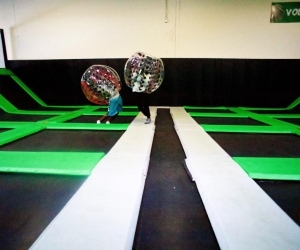 We have 2 sizes of Knockerballs, which can cater towards younger ones all the way to adults. 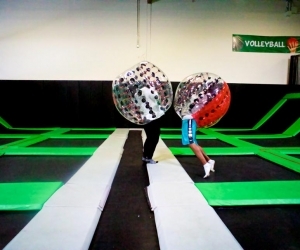 Sensation you experience in Knocerballs is almost defying gravity, and it allows you to experience it without putting any stress on your body. We have a safety monitor assisting and being a referee throughout the game. 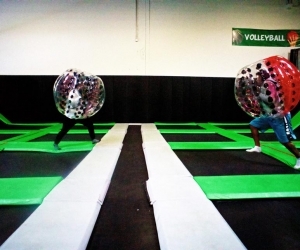 We are proud to be the first indoor park to have Knockerballs on trampoline.